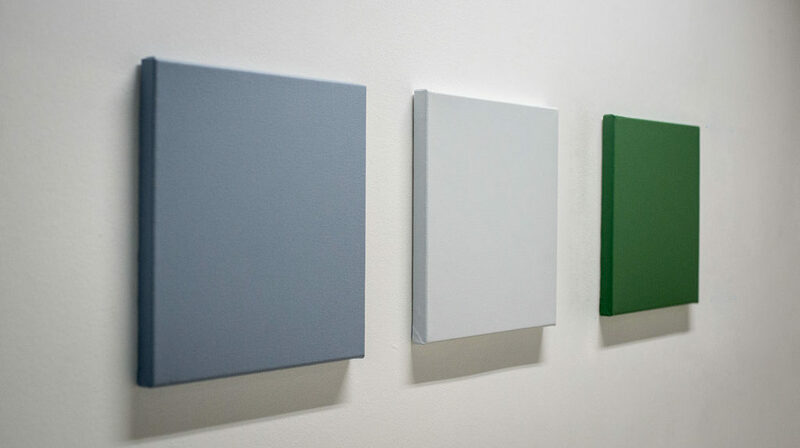 The Art, Space & Nature cohort are having a group show at Pier Arts Centre in Orkney. Pier is an amazing space which features a world-class collection of 20th century art. We’re all quite excited to have the opportunity to exhibit here as a group. The show, which we’ve titled ELEMENT, is a collection of individual work that effectively bloomed from our group field study this past Fall in Orkney. During that time, we took part in visits to the ruins of 5,000 year old civilizations, alongside WWI/WWII gun emplacements (reminiscent of San Francisco’s Presidio), island oil terminals, and cliff-side wind/sea energy farms. My particular study was aimed at the modes of energy production, which in Orkney include a long history of oil via the North Sea, and more recently some of the world’s largest tidal and wind power testing centers. 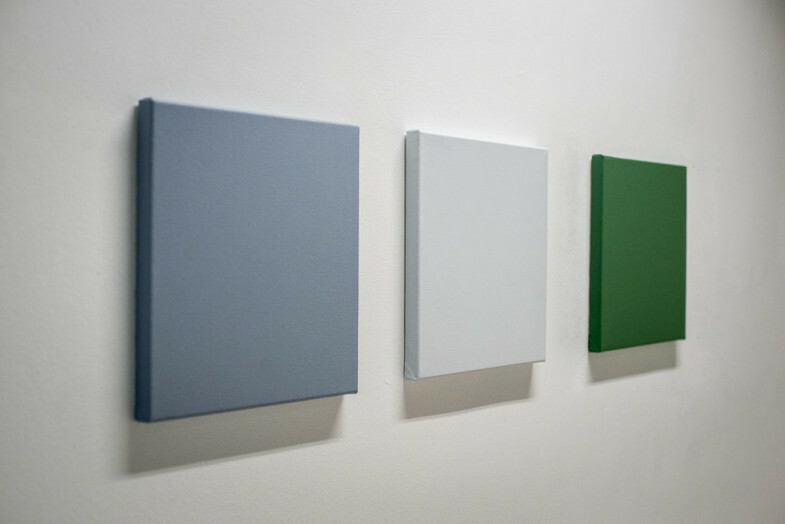 Each of the three canvases is painted as a solid color swatch representing the mathematically calculated dominant color from one of three landscapes in Orkney. The three landscapes represented are an oil terminal, a wind farm, and a prehistoric settlement. The exhibition will run 14–28 February, with the opening reception 13 February at 7:30pm.